What kind of dim, disoriented eater doesn’t like to wallow in sum Chinese chow? Not me. When I strive for greatness, I head for China. You don’t come here for romance, you come here for the chow. Forget tablecloths or serenity, this is a no frills place with a pulse. At peak times, the crowds spill out to wait on the sidewalk. If you think pulling your name on the waiting list means that they will call it, think again. You should hover. 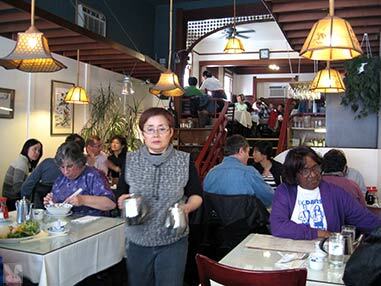 Quick and to the point – this small place turns a lot of tables. 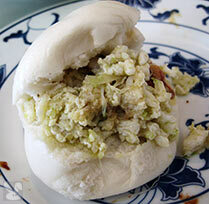 ...is so named because of the thin hide-like mung bean noodles. I hear this is Jamie Gumm’s favorite (along with “lotion in basket” which must be some sort of variation of "ants on tree"…) This room temperature dish arrives at the table with each ingredient in an isolated pile. 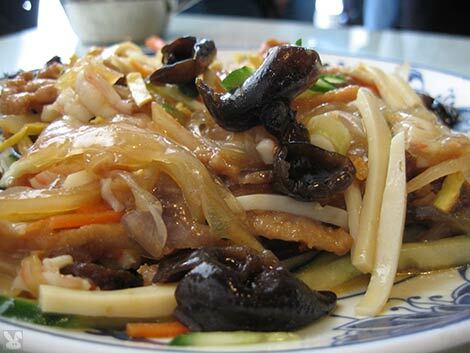 The server pours over the Chinese mustard based dressing and tosses the sea cucumber, (land) cucumber, woodear mushrooms, egg, prawns, and carrots into a tangle of slimy, crunchy, umami-y refreshment. 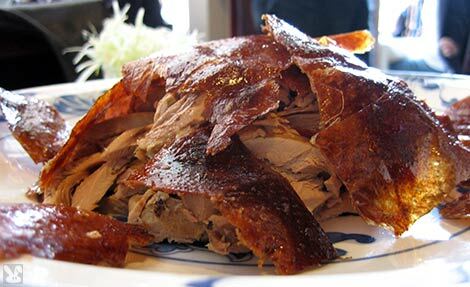 ...is the quintessential version of this lacquered skinned, ode to crispy bits and flavorful meat. The fat is melted away to leave only duck skin brittle and succulent flesh. 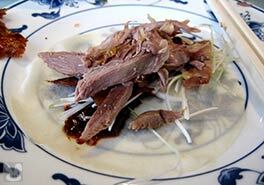 The paper thin pancakes, scallions and plum sauce combine for an explosive duck and roll experience. ... are clouds, but for eating. 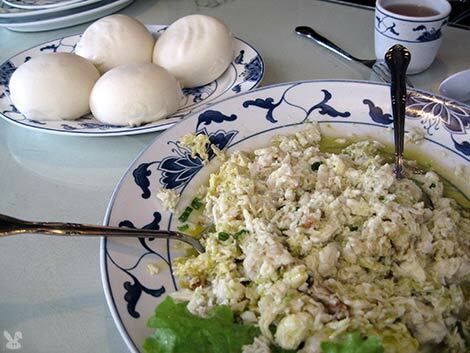 The waiter presents the egg yolk capped, cottony pile before showering it with ginger and scallion dressing, You pull apart a fluffy, white, steamed bun and fill it with a cumulous of crustacean. Soft, subtle and light. 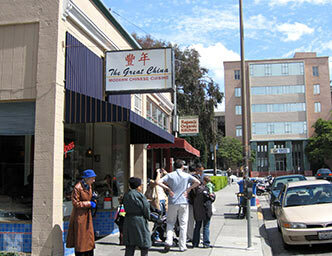 This is a place that you would expect to find in Chinatown rather than downtown Berkeley. If you don’t see what you want listed on the menu, order it anyway and see what happens. One unisex room in the back sees a lot of traffic (and it shows.) It’s well stocked with paper products, but the messy customers don’t pay much mind to keeping it tidy.